'Oratorio' species tulips brighten the gravel garden. Their foliage will persist long after the blooms are gone. Bulbs are the bomb! In the perennial garden, that is. 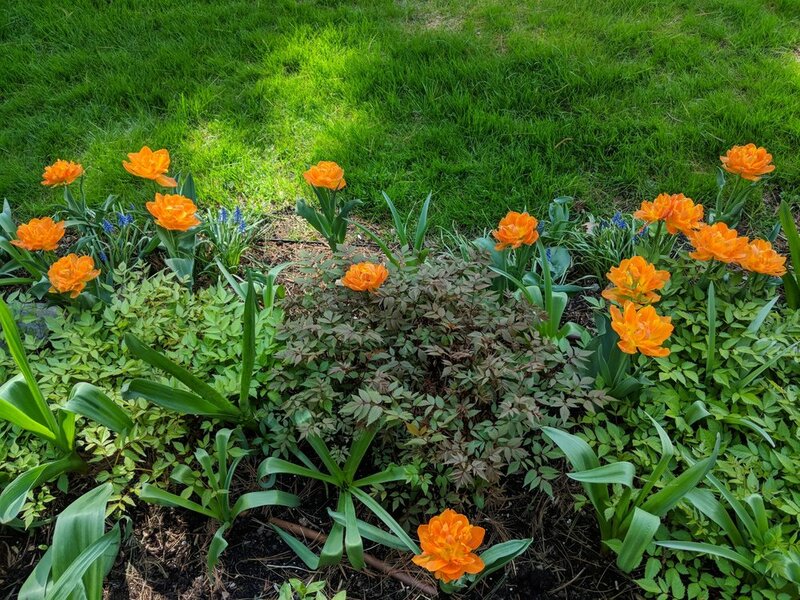 For years, I struggled with bridging the color gap between the fading blooms of spring ephemerals and the vibrancy of summer perennials. After years of experimenting, I am finally achieving better results with bulbs as a design element. 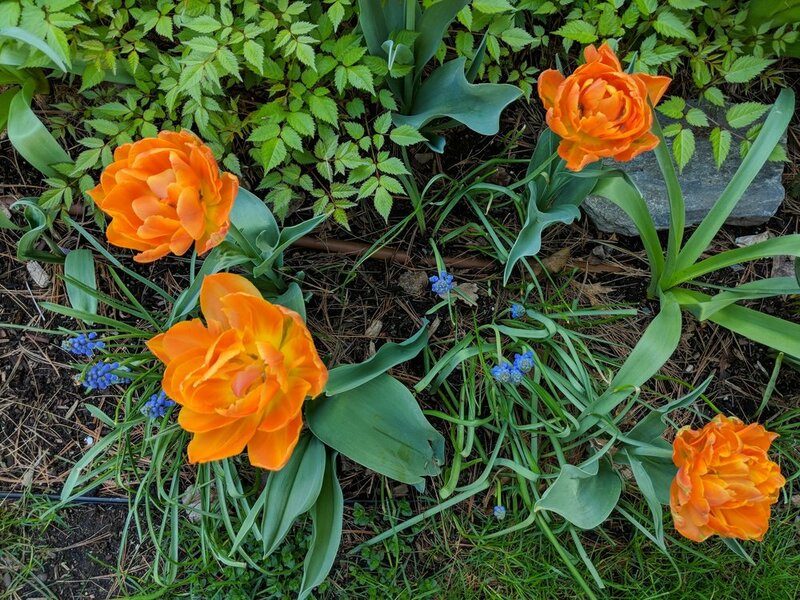 Last November, I purchased hundreds of tulip, daffodil and allium bulbs. It took me days to get them all planted before the ground froze (some ended up in pots). But it was so worth it! 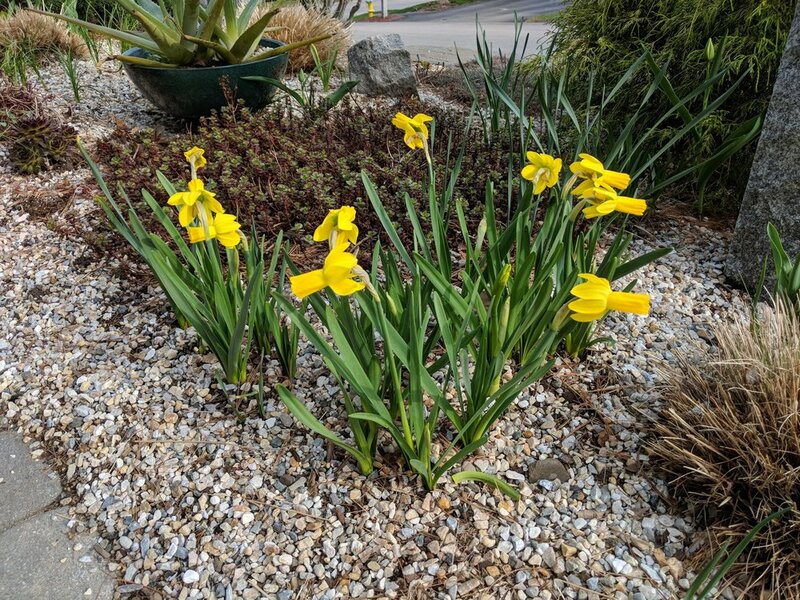 My technique is to tightly inter-plant bulbs into empty "pockets" around perennials. The result is an early pop of color amid a sea of perennial foliage. 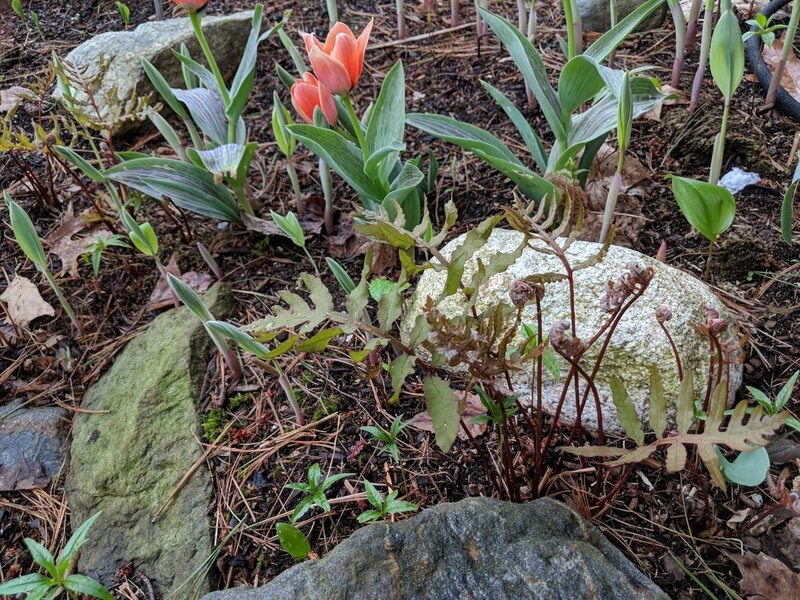 The astilbe and pholox bed received dozens of 'Orca' tulips, 'Purple Sensation' Allium and 'Miami' Allium bulbs for color and softening of the stone patio wall. 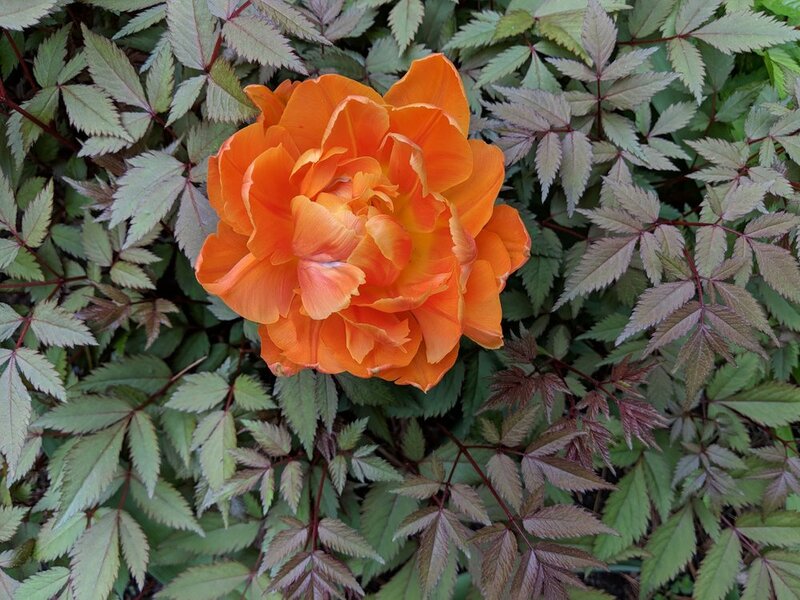 The following photos depict April emergence to early June, just before the astilbe are ready to open. 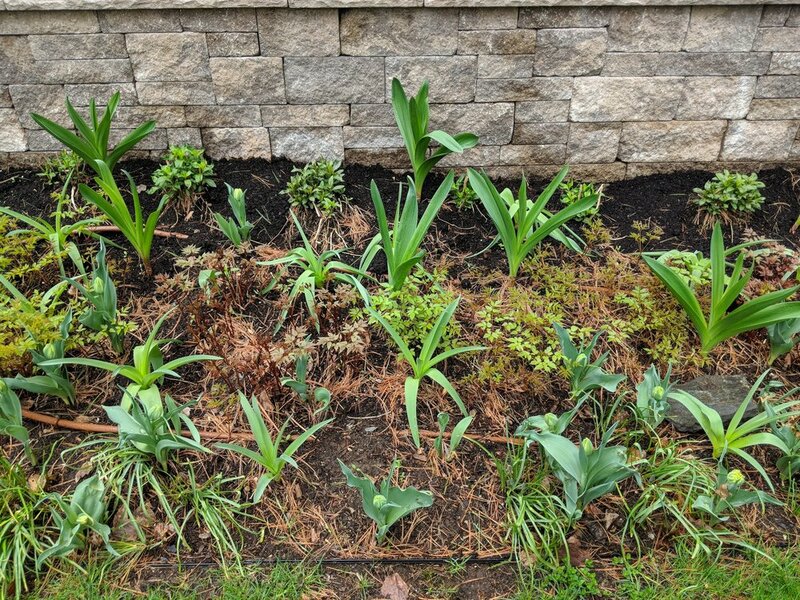 Here are more examples of tulips and allium inter-planted with daylilies and other perennials. As the plants begin to die back, their browning foliage is camouflaged with the fresh foliage and bloom of the perennials. Bulb foliage can die back naturally, thus fueling the bulb for next year's bloom! 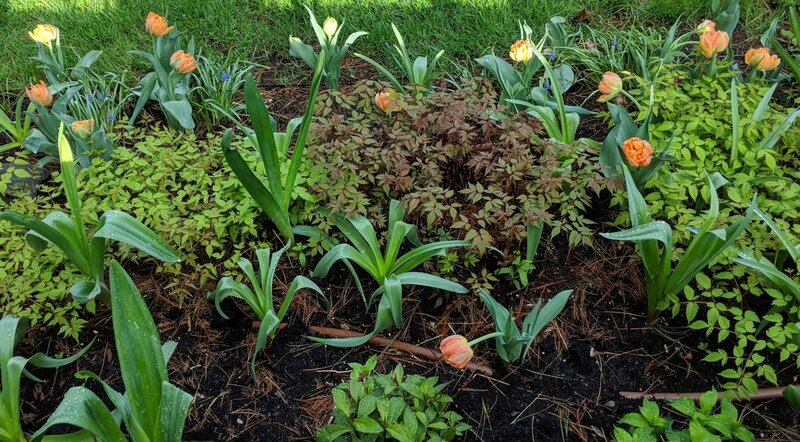 'Oratorio' tulips emerge early and will later be "covered" by heuchera and ferns. 'Miami' allium emerges from daylily foliage. Notice the dying back 'Fur Elise' tulips in front of the lilies. A single allium accents the feathery plumes of Goatsbeard in the shade garden. 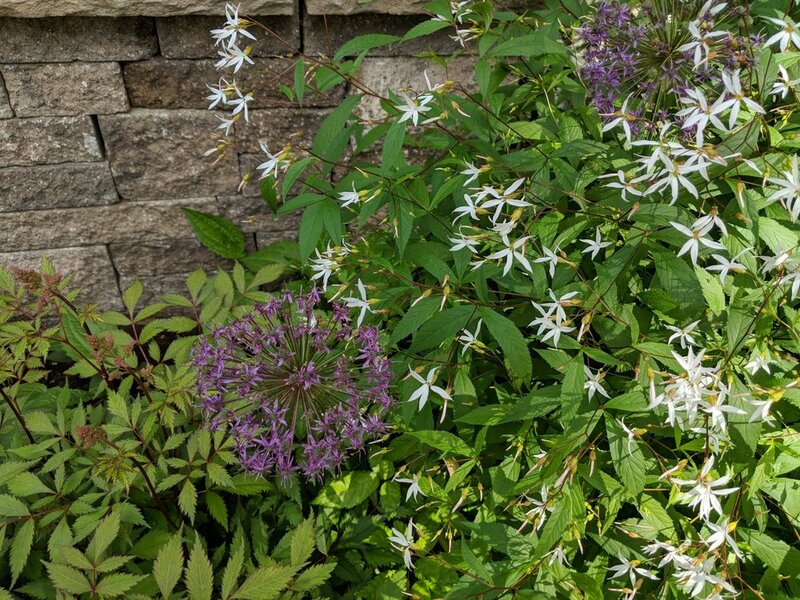 'Miami' allium, gillenia trifoliata and persicaria 'superba' help to soften the rain barrel. June 11: Ferns obscure dying daffodils from previous photo. Consider how the bulb's foliage and bloom color will complement and/or contrast with the surrounding plantings. 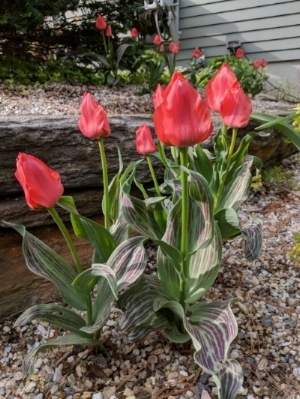 Species tulips (not hybrids) have shorter, more compact foliage which is often variegated and attractive enough to stand on its own if it can't be "covered" by a companion plant. Hybrid tulips have strappier foliage which may be more difficult to camouflage. Allium foliage begins to die back quickly - sometimes even before the bulb head has opened. This is actually a benefit as it allows for a tidier look early in the garden. Allium foliage is also "minimalist", allowing it to easily disappear among surrounding plants. Allium heads fade and dry beautifully. You can leave them in situ to provide ongoing interest, but the bulb will be able to refuel itself more easily if you cut the stalks. Allium heads from 'Christophii' dry the best. They essentially 'skeletonize' and dry into a very sturdy, spiky ball that can persist a year or two inside. Eventually the seeds will spill and you can collect and plant them! If you run out of ground, pot them up! You can mix hyacinth, daffs and tulips all in the same pot. On a final note: tulip bulbs, especially do not like a lot of moisture in the "off season". So, best not to inter-plant them with partners that require a lot of water, otherwise doom the bulbs to an early, rotten death. 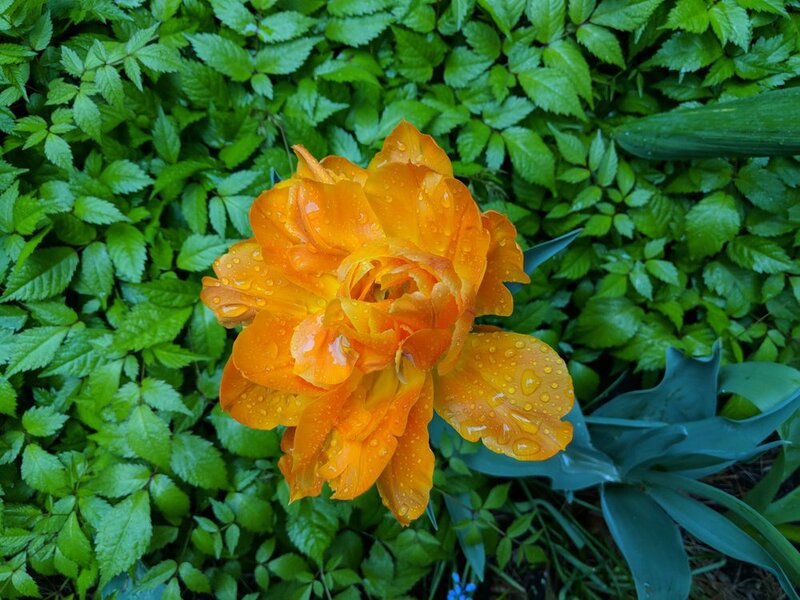 If moisture is unavoidable due to high water needs of companion plants, then you should consider "lifting" the tulips after they bloom and potting up to let foliage die back in an out of the way location. Bulbs can then be replanted in the fall. Need advice or have questions about your own garden? Contact me for a no-obligation chat!